Mimosa hostilis (also called mimosa tenuiflora and jurema) is native to Brazil, and has spread to all of South America as well as Central America. Mimosa hostilis is a tree or shrub that can grow to 8 meters. The plant has compound leaves with bright green leaflets and white, fragrant flowers. Mimosa tenuiflora has several medicinal uses. Its leaves, stem and bark are all used to treat various ailments such as bronchitis and wounds. The root bark of Mimosa hostilis has been recently shown to contain DMT, which makes up about 1% of the dried weight. DMT is known as an intense hallucinogenic. Although DMT (N,N-Dimethyltryptamine) is a psychedelic compound, it is not orally active in itself. DMT is usually taken with a MAOI (monoamine oxidase inhibitor) such as Syrian rue (peganum harmala). Mimosa hostilis itself in not a controlled plant in most countries, which means it is legal. However, the DMT that can be extracted from the plant is a controlled substance, making the legal status of Mimosa hostilis somewhat ambiguous. Mimosa hostilis is available for buying online, as the plant itself is legal in many countries. 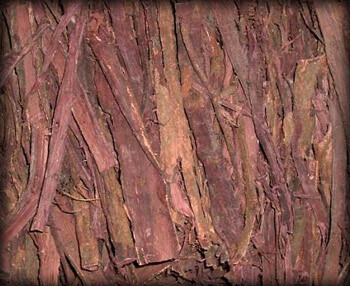 As the extraction of DMT is illegal in most countries, powdered bark often raises suspicions and is seized at the border. Whole plants, Mimosa hostilis seeds and even shredded root bark is much safer to buy, as it does not allude to intentions of extracting DMT. I can’t personally recommend any US vendors right now. Actually I don’t even know any, that still sells Mimosa hostilis. You can order it from a European vendor tough, see below. DMT is the main active compound in Mimosa hostilis. However, DMT is not orally active in itself. The reason for this is that the enzyme monoamine oxydase (MAO) metabolises DMT in the human gut, rendering it unable to enter blood or brain. As a result, the substances visionary effects fail to manifest. As a result, DMT-containing plants are usually taken along with MAO inhibitors (MAOIs). Psychedelic effects of the ayahuasca, “vine of the soul” in Quechua were discovered hundreds of years ago. The brew was used by Amazonian shamans to induce visions. The original ayahuasca brew was made from the plant also called ayahuasca (Banisteriopsis caapi). As a MAOI either chacruna (Psychotria viridis) or chagropanga (Diplopterys cabrerana) was used. This method for achieving visions and various other effects has been used ever since in several regions. Brews similar to ayahusaca but containing other plants are called ayahuasca analogues, or anahuasca. The MAOI most commonly used along with Mimosa hostilis is Syrian rue. 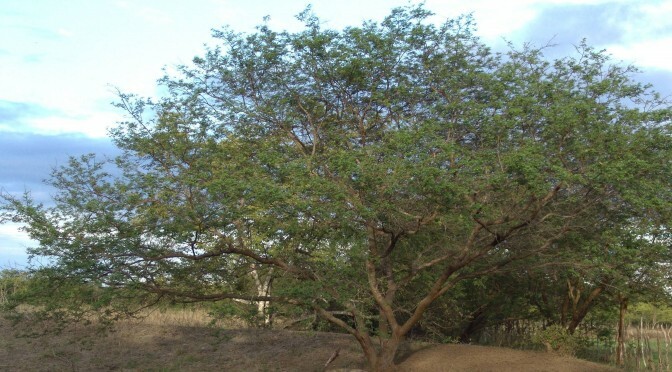 Effects of the Mimosa hostilis root bark are, in fact, the effects of DMT, supposing there are MAOIs in place to stop the MAOs in the human gut from metabolising the substance. DMT may also be consumed without MAOIs, in the form of smoking. Psychedelic effects of smoked DMT are reported to be very mild and short-lived. It should be noted that Mimosa hostilis is, in fact, orally active, even without MAOI. The chemical compound yuremamine has recently been isolated from the plant, and is likely to be the reason for this. However, very little is known about it as of yet. The cognitive state induced by anahuasca is considered to be rather clear-headed, at least compared to substances such as LSD. There is usually a sense of mindfulness and interconnectedness. Déja vu and short term memory loss are also common, to the point where the user loses sense of their ego, and views themselves and the surrounding world from an impersonal point of view. Many users have reported feelings of spiritual rejuvenation as well as a stronger personal belief in spirituality. This is in connection with a strong sense of peacefulness and love. There have also been reports of negative experiences, such as an increased sense of fear and anxiety. Some users also feel as if they are dying or losing their mind. Anahuasca may have sedating or stimulating effects as well, depending on the setting. In a calm environment the effects are relaxing, while it can act as a stimulant during physical activity, for example. Anahuasca has a purging effect, inducing both vomiting and diarrhea. This has traditionally been considered beneficial, and the drug thought to purge both body and mind. Visual effects are the main reason for consuming anahuasca. Colours, clearness of vision and pattern recognition are enhanced. Objects may seem distorted, flowing, melting, and shifting in colour. Anahuasca may also produce a full-on hallucinatory state, complete with auditory effects. Hallucinations are more commonly experienced in dark environments. The nature of the visions is generally religious, mystical or transcendental. The total duration of the primary effects of anahuasca can last anywhere from 4 to 8 hours. The onset takes up to 60 minutes, while the plateau is reached after another hour. After effects of the drug include an increased, powerful sense of mindfulness even weeks after taking anahuasca. Users have also reported extremely vivid and lucid dreams. Mimosa hostilis has some negative side-effects, some of which occur during the primary effects of its use while others can have long term effects. Common side-effects of Mimosa hostilis include vomiting and diarrhea. However, this is often viewed as positive, as it is considered to be a purging of the body along with the soul. Some users have reported dehydrating effects which, along with the sense of dying caused by the drug can make for a truly terrifying experience. The most important interaction of Mimosa hostilis with other substances is that the DMT content becomes orally active when taken along with MAOIs. Plants commonly used for this reason are Banisteriopsis caapi and Syrian rue. Several parts of the Mimosa hostilis are used in medicine. Tea made from the plant’s leaves is useful for tooth pains and quitting smoking. 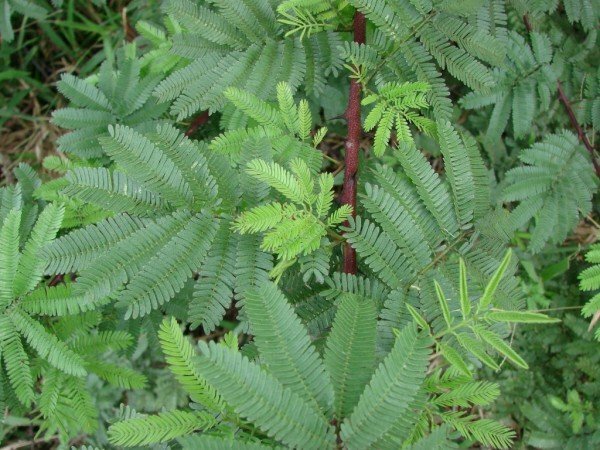 Water extract of Mimosa hostilis bark is used against cough and bronchitis as well as for treating wounds. The root bark of Mimosa hostilis is one of the ingredients of the anahuasca, a brew analogous to ayahuasca. Its reported health benefits include a purging of body and soul and a mind-opening effect. The brew is said to stimulate creativity. Consuming the brew is a spiritual experience for many, as the visions are often of a mystical or religious nature. Mimosa hostilis may be consumed by smoking or in the form of an anahuasca brew. The former is rather straightforward, but its effects are very mild compared to when it is taken together with a MAO inhibitor. The anahuasca brew requires two substances, one with DMT content (Mimosa hostilis, in this case) and a MAOI. The most common MAOI taken along with Mimosa hostilis is the Syrian rue. The Mimosa root bark should be pulverized and shredded. The root is then brewed with vinegar without boiling. After the root is taken out, more water should be evaporated until the liquid fits in a small glass. The Syrian rue should be consumed first: the crushed seeds may be taken in a gelatin capsule or mixed in water and drunk. The root bark brew should be taken about 15-20 minutes afterwards. The aforementioned recipe recommends a dosage of 5-10 grams of Mimosa hostilis along with 2 grams of Syrian rue. If the Syrian rue is ingested with the capsule method, a single gram may be enough. If no effects are experienced, increasing the amount of the MAO inhibitor may work. However, the onset of the primary effects may take up to an hour, so re-dosing is not particularly advisable. Effects of Mimosa hostilis vary greatly from person to person. Everyone, especially first time users should be mindful of that and exercise caution. Amounts over 20 grams are considered very strong, and should not be consumed by any but the most experienced users (if at all). Most Mimosa hostilis trip reports include Syrian rue as the MAOI. Several users mentioned using cannabis as well; while the exact interaction is not known, experiences were generally positive. Practically all trip reports mention the vile taste of the brew, and recommend having a chaser drink with strong taste nearby. The first sensations came on like electric tingles of blue light down my limbs and a narrowing of vision. I found it odd that my face felt like it was being squeezed. Then I realized everything was vibrating and buzzing and interconnected with everything else like an electric grid or net. Codes, alphabets and geometric shapes created fractal trails in fantastic colors, but what I was completely unprepared for was the physiological sensations, a whole-body buzzing and vibration of the deepest purple at a wave-rate in nano-seconds. By this time, everything reversed from geometric patterns being directed towards me to me being sucked down a drain-hole of colors and motion, but it wasn’t my body… that had ceased to exist as a coherent thing long ago. I began to see feline figures and a diaphanous ethereal woman slip in and out of view. At one point the entire notion of creation of the universe, a separating of matter and energy that must re-combine as a singularity appeared to me but was so powerful and overwhelming I needed to turn away. Mimosa hostilis is only one of the legal highs included in Simon’s legal high guide, check out the others as well. A guide detailing the properties, effects and legal status of Mimosa hostilis and anahuasca, including trip reports. Cannibis synergizes well with ayahuasca- type mixtures. The Santo Daime church denomination, the CEFLURIS branch of that religion , use cannabis within their ayahuasca ceremonies. There are several thousand members in about 15 countries. The sacrament is called Santa Maria in the church ceremony. But for the non- sacred use, it’s called marijuana. So, in a nonscientific way, we can be fairly certain that Santa Maria is safe with DMT-MAOI usage.